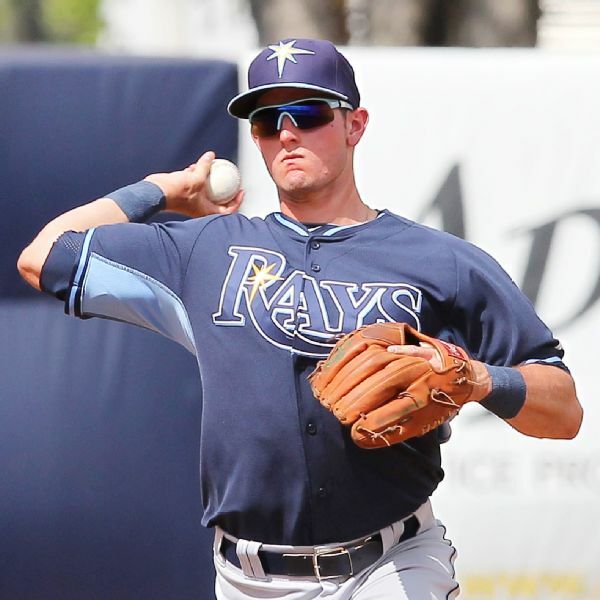 Tampa Bay Rays infielder Daniel Robertson has been put on the 10-day disabled list with a sprained left thumb and might miss the rest of the season. NEW YORK -- With his bullpen taxed, Texas Rangers manager Ron Washington was left with no choice but to use Friday's starter, Nick Tepesch, in the 14th inning of Tuesday night's loss to the New York Yankees. 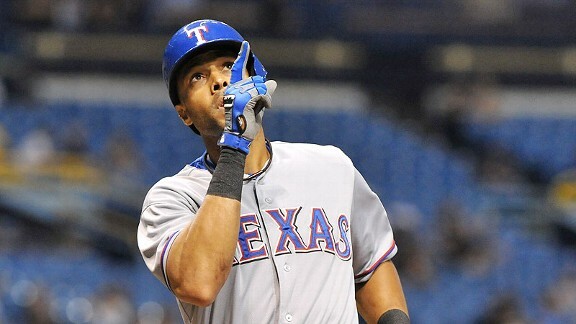 Texas Rangers outfielder Alex Rios has left their game against the Blue Jays in the first inning after spraining his right ankle on a swing. ARLINGTON, Texas -- Presented with two early leads, Yu Darvish could hold neither. 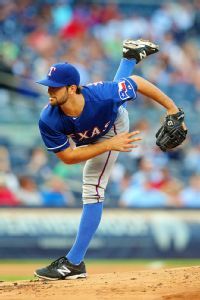 The Texas Rangers' All-Star pitcher yielded 10 hits and six earned runs, a season-worst in both areas, in an 8-4 loss to the Houston Astros on Wednesday night before 31,161 at Globe Life Park. The Texas Rangers beat the Oakland Athletics 14-8 on Monday night in the first game of a three-game series in Oakland, California. Some quick thoughts:How it happened: The Rangers scored six runs in the fourth inning on five hits, including two extra-base hits, with two walks. ARLINGTON, Texas -- The Miami Marlins beat the Texas Rangers 8-5 on Tuesday. Some thoughts here:How it happened: The Rangers took a one-run lead in the sixth but couldn't hold it, as the Marlins scored two runs in the seventh on a two-out, two-RBI single to left. ARLINGTON, Texas --With the loss of Mitch Moreland to an ankle injury that could have him out anywhere from three to four weeks to three months depending on which surgery he will have, Texas Rangers left fielder Shin-Soo Choo has found his way into the 3-hole in the batting order from his usual leadoff role. Will Tigers series be springboard for Texas? DETROIT -- There was obvious resolve from manager Ron Washington this weekend at Comerica Park. He talked a bunch about what the loss of Prince Fielder would mean for his Rangers team. ARLINGTON, Texas -- There were no large cranes or bulldozers in sight at Globe Life Park on Tuesday. But that doesn't mean the Rangers weren't engaged in some serious reconstruction. ARLINGTON, Texas -- The Oakland Athletics completed a sweep of the Texas Rangers, beating up starter Robbie Ross in a monster third inning, eventually winning 12-1.